“A question for Executive Directors everywhere. Do you have a cohort group? A group of people who are also Executive Directors, understand your challenges and provide you an opportunity to talk, share, learn, grow and mentor others. If not – you should. Being an Executive Director can be one of the loneliest jobs – there is literally no one you can confide in. Perhaps your spouse or significant other – but that gets old pretty fast. A cohort group make a huge difference. That’s what Executive Directors learned at a workshop given by Sharon Danosky and sponsored by the Community Foundation of Greater New Britain and the Farmington Bank Community Foundation. In a setting that was described as “Las Vegas” executive Directors from different nonprofits explored issues around governance and management and how to create stronger relationships with their boards to build a stronger organization. “The real benefit of the workshop was people realizing that they aren’t alone in addressing these issues and that by sharing with one another, they can find good solutions,” noted Sharon. What better way to start the New Year than to set a goal to reduce childhood poverty in not just one Connecticut community, but many? 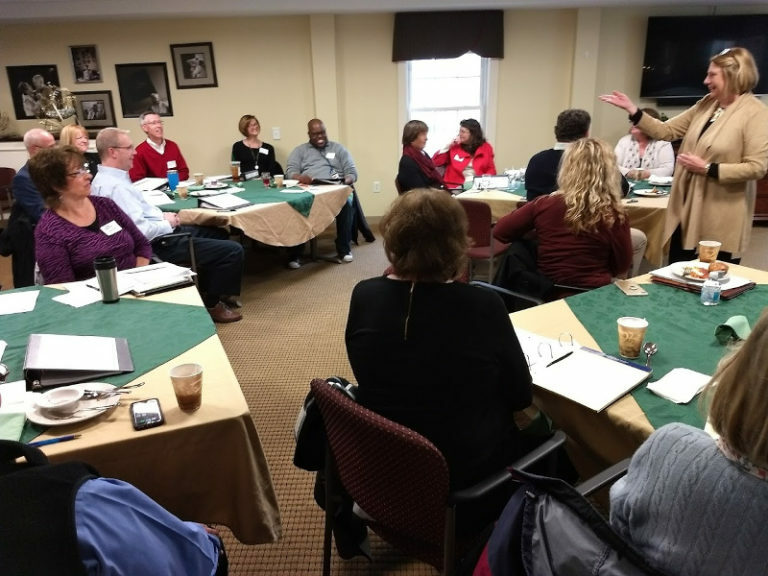 The Valley Community Foundation, Griffin Hospital, TEAM, Inc., and Valley United Way came together with more than 20 other organizations in Ansonia, Derby, Oxford, Seymour, and Shelton (the Valley) to figure out how to do just that over the next 10 years. Danosky & Associates was honored to be asked to facilitate this initiative as they explore all the different facets that contribute to childhood poverty – and the impact it causes. The priority to focus on childhood poverty came as a result of a facilitated brainstorming session to highlight some of the pressing needs within the Valley Community. The one issue that continued to resurface during this exercise was childhood poverty. According to detailed data the collaborative has compiled, 26% of all Valley children live in households below 200% of Federal Poverty Guidelines. Over the course of the next several months, these organizations will utilize an innovative and structured approach known as Collective Impact, which facilitates collaboration across government, business, philanthropy, non-profit organizations, and citizens to achieve significant and lasting social change. 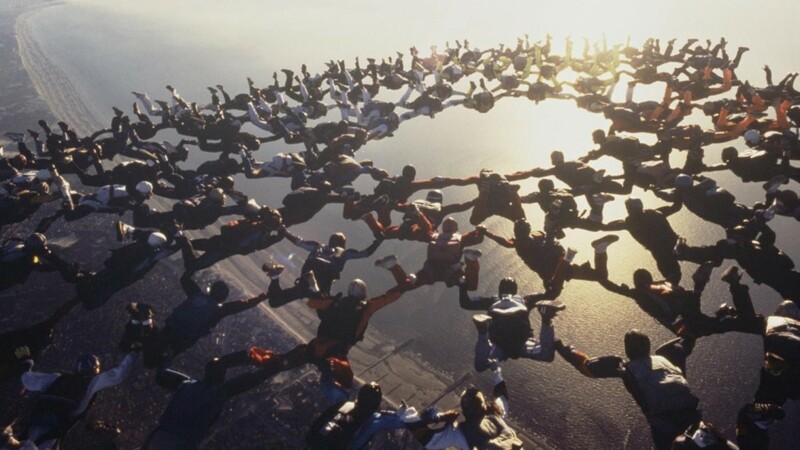 The concept of Collective Impact is based on the idea that, in order for organizations to create lasting solutions to social problems on a large-scale, they need to coordinate their efforts and work together around a clearly defined goal. Nonprofit organizations in the Valley have a long history of collaboration, so this approach was a natural fit as they sought to move forward. In addition, the project will be facilitated by Danosky & Associates, which has successfully managed other collective impact initiatives – including the Working Cities Challenge in Danbury, which resulted in a $450,000 grant to reduce the number of minorities living below federal poverty guidelines. The task forces include a diversified representation from nonprofits across a variety of sectors. Leading the initiative with Valerie are Sharon Gibson of Valley United Way, David Morgan of TEAM, Inc., and Monica Oris of Griffin Hospital’s Valley Parish Nurse Program. You’re not entirely new to the workplace, but you’re not a veteran in your sector either. You’ve been establishing yourself in your field, and taking on leadership roles and responsibilities. And now, you’re thinking about sharing your experience and energy as a member of a board. But you don’t have experience, or the first idea of how to go about this. Do they come to me? Do I go to them? What kind of board do I want to serve on? What are their expectations? These questions, and many more were answered recently when Connecticut Community Foundation and Waterbury Chamber of Commerce partnered to host Ready to Serve: Preparing for the Board Room, a workshop facilitated by Sharon Danosky for the benefit of the Waterbury Regional Young Professionals group. Technological advances in visual marketing have presented opportunities for smaller to mid-sized nonprofits to establish a video marketing presence that may have been financially out of reach just a few years ago. Sixteen months. That is the length of time someone in a development position stays with a non-profit organization. Sixteen months! In a profession dependent on building long-term relationships, this should be a wake-up call for many non-profits. This statistic was introduced and discussed at the recent AFP Conference and was published in the Chronicle of Philanthropy. The turnover rate has long been a cause for concern, but this latest statistic shows a further decline from the previous rate of 18 months. The study also revealed that the cost of bringing in and training a new development professional can be as high as $125,000. Many non-profits today are struggling to accelerate their fundraising efforts. Furthermore, raising funds today is more difficult than it has been in the past two decades. The question we must ask is: Why is this so, and what can be done? I have my own theory on why this is the case, based on years of practical experience and having worked with many, many organizations. It is also based on anecdotal data I have gleaned from many colleagues over the decades, and I would like to share it with you now. The first observation and concern is that development officers are hired with mixed, unclear, and sometimes conflicting expectations. An organization is experiencing a financial shortfall and decides it needs to increase its focus on development. Therefore they hire a development officer to raise the funds and expect that by hiring someone, their work in “solving the problem” as a Board or management team is done. Development officers do not work in a vacuum. Effective development work requires active support from the chief executive, management and, especially, the Board. If they are not willing to be engaged partners in the process, the results will be less than stellar, and the assumption is that the development director has not done his or her job. The second major problem is that development work does not happen immediately. It takes a minimum of one year to understand the ebb and flow of a fundraising cycle, donor behaviors, activities, and events that will generate revenue and the type of fundraising activities that will work best with the organizational culture. If the fundraising efforts are to be truly effective, the development director should conduct an assessment of the program and develop a 3-5 year fundraising plan. While results will be seen after year one, significant results are not usually achieved until year two or three when a philanthropic culture begins to take hold in the organization. This happens only when the relationship with funders has been developed and donors become familiar and comfortable with an organization. An impatient organization and Board doesn’t consider the time required to build and grow the program. Therefore, because there are no immediate results, the development director and organization parts company and the pattern repeats itself. Organizations are not hiring the right people. I have observed that organizations focus a lot of time and effort on “chemistry,” whether or not there is the right organizational and cultural “fit.” While I don’t disagree that it plays a role, the reality is that a good development director is not going to be similar to the other employees you hire. They have a more external focus, they are more “sales” oriented (allowing that the best sales people are those who know how to develop long-term relationships) and the work they do is far different than most of the individuals hired by the organization. I worked an average of 5-10 years with most of the organizations that employed me. I will unequivocally share that the first few months were very difficult, and I was not the most popular person at the agency. Fortunately, I was bringing in much-needed funding – but I was different than the other employees they hired. A development office is a small business, and development folks are entrepreneurial – which is different than those who are caregivers, social workers, teachers, curators, etc. If the organization is focused on chemistry – then it is not usually seeking the actual skill sets that are required to build a development program. In the past two decades, non-profits have proliferated at an extraordinarily high rate. That has caused an equally high demand for development professionals. Many organizations are not able to find or (or can’t afford to hire) the skill set and talent required to establish a development program. They will hire someone who has done a great job at putting on events, running a terrific social media campaign, or successfully writing grants. These are all commendable skills, but they are not the same as building a sustainable development program. The fault lies on both sides of the hiring desk. Development directors have the responsibility for developing skills and continually advancing their practice, and those hiring development directors must either commit the resources required, or be willing to invest in the person they have hired to help him or her achieve those skills. There is a craft and a science to raising funds. Today there are even Masters Programs in development. 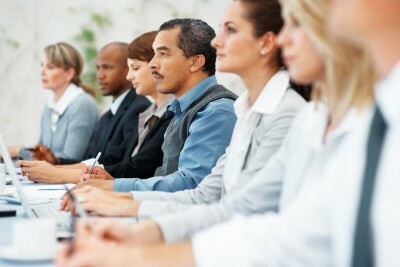 Associations such as AFP, AHP, CASE, and others have a long-standing commitment to providing their members with ongoing education and training. Whether through national conferences, college courses, or regional workshops that help development directors achieve certification, the resources are available, along with scholarship programs. However, both the development director and the organization must recognize that there is more to raising funds than executing a few successful tactics and that true development work requires a sustained commitment. 1) Set clear and reasonable expectations when deciding to hire a development professional and communicate them in advance. 2) Ensure there is active support from the Board and the management team; development is not a stand-alone function. 3) Be willing to invest for the long-term. Sustainable success will not come overnight, but will build consistently over time. 4) Hire the person who has the skill set to do the job and the commitment to continually improve. 5) Invest in the development function through ongoing training and education. Development is not a “quick-hit” solution; rather it is an investment in building philanthropic support from your community. It’s not easy – but then, nothing worthwhile ever is. foundation and an army of support behind R them.